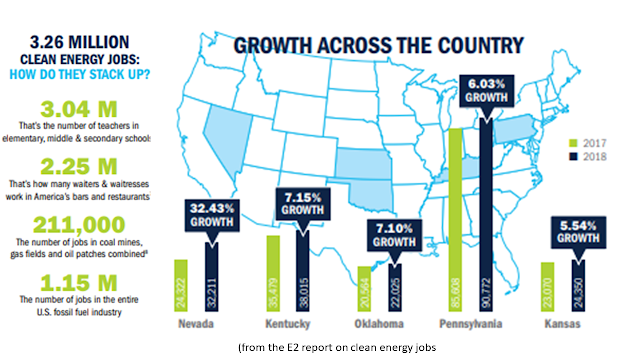 In every region and every state in America, clean energy is creating jobs and careers. 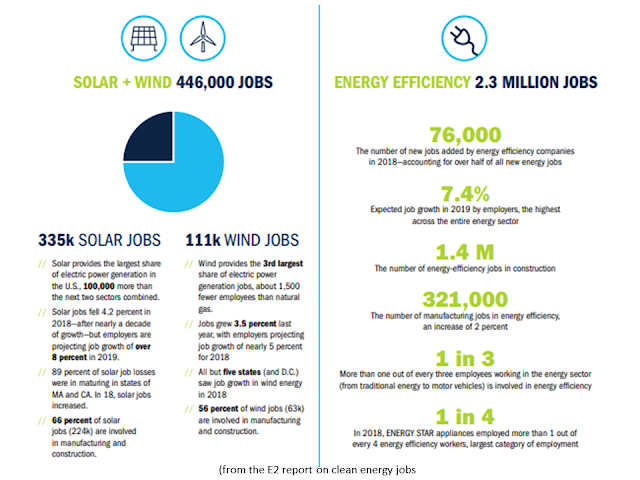 Nationwide, nearly 50,000 new clean energy jobs were created in 2018, bringing the total number of Americans who work in clean energy to 3.26 million. Energy efficiency continues to lead the clean energy sector in total number of jobs, growing 3.4 percent to 2.3 million jobs. But the big story in 2018 was around clean vehicles and storage. Driven by growing consumer demand, the number of jobs in clean vehicles manufacturing increased by 16 percent. About 254,000 Americans now work at companies building hybrid, electric and other clean vehicles, while another 486,000 Americans work in companies that manufacture parts that make vehicles more efficient. 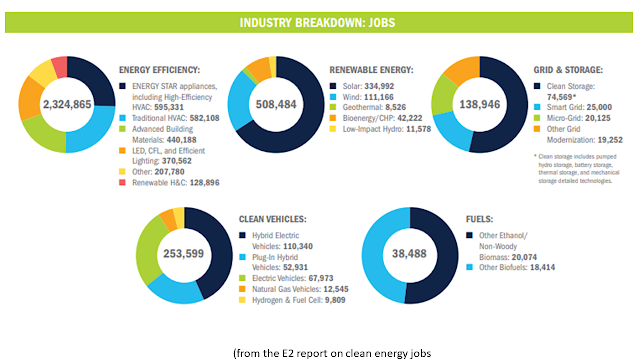 Energy storage saw a 14 percent increase in jobs as utilities, businesses and consumers deployed more batteries in EVs and with solar and wind installations, while grid modernization jobs grew by 3.3 percent. Smart state policies continue to drive much of the growth in clean energy and the jobs and investments that come with it. But with a new Congress comes new opportunities to pass meaningful legislation on a federal level to keep these jobs growing nationwide. See sidebar for more. // Make sure any infrastructure bill includes policies to modernize the grid and expand electric vehicle charging infrastructure to keep grid and storage jobs growing. // Stop rollbacks to fuel economy (CAFE) standards that are saving business and consumers money with every visit to the pump and also are driving jobs and American innovation in the clean vehicles sector. // Upgrade and extend expired energy efficiency tax credits for commercial and residential buildings; clarify the Investment Tax Credit (ITC) to apply to energy storage and offshore wind and lift the cap on the electric vehicle tax credit to create more jobs in these sectors. // Properly fund R&D investments in clean energy innovation and efficiency at the U.S DOE’s Office of Energy Efficiency and Renewable Energy, the Loan Programs Office, and programs such as ARPA-E, and the Advanced Technology Vehicles Manufacturing (ATVM) program. 9 percent job growth in 2018, with employers projecting growth of 4.4 percent in 2019. // Grid modernization industries added over 2,000 jobs, a 3.3 percent growth rate. 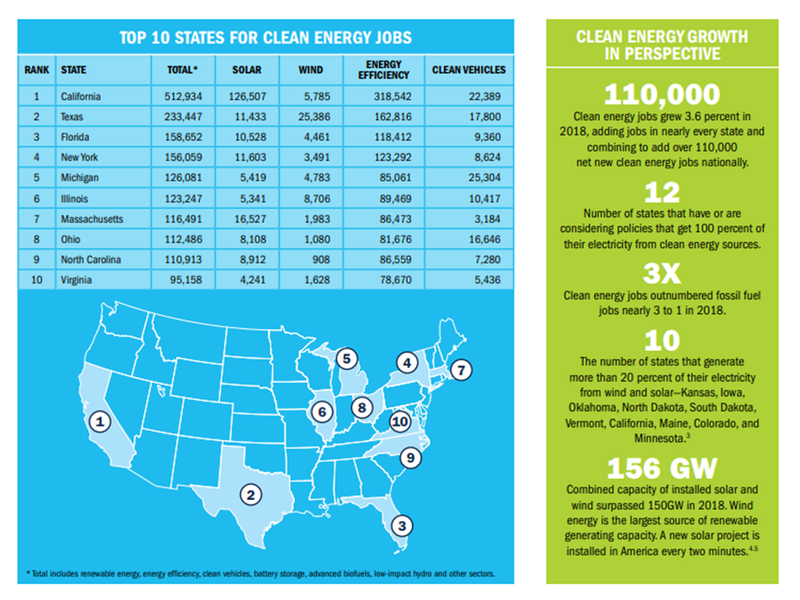 // California and Texas lead the U.S. in Grid & Clean Storage jobs again, but Nevada saw biggest rise in rankings—jumping from 25th to 4th thanks to a 380 percent job surge in 2018. // Solar provides the largest share of electric power generation in the U.S., 100,000 more than the next two sectors combined. // Solar jobs fell 4.2 percent in 2018—after nearly a decade of growth—but employers are projecting job growth of over 8 percent in 2019. // 89 percent of solar job losses were in maturing in states of MA and CA. In 18, solar jobs increased. 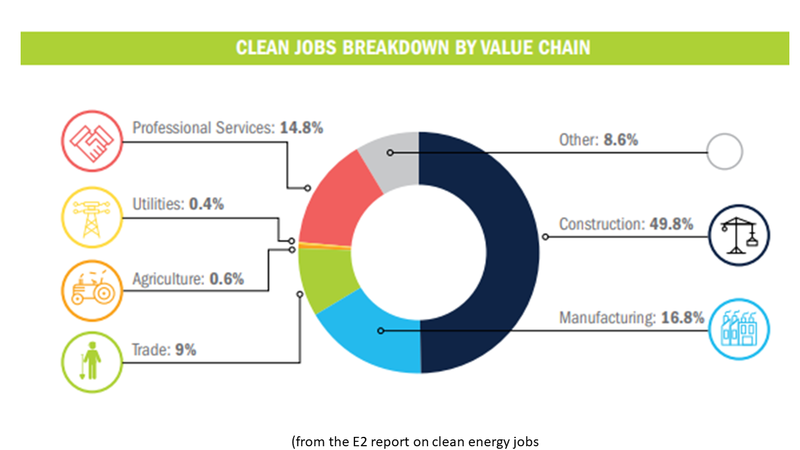 // 66 percent of solar jobs (224k) are involved in manufacturing and construction. // 9 percent job growth in 2018, with employers projecting growth of 4.4 percent in 2019. // Wind provides the 3rd largest share of electric power generation jobs, about 1,500 fewer employees than natural gas. // 56 percent of wind jobs (63k) are involved in manufacturing and construction. With the right support and policies, U.S. investors could turn clean energy into an economic powerhouse and unlock a market with near unlimited potential. The U.S. is beginning to dominate a new global market, accounting for 60 percent of global corporate clean energy purchases in 2018.